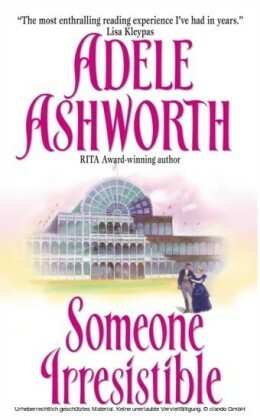 Vivian RaelLamont lives peacefully in the small town of Penzance, Cornwall, where everybody believes her to be widowed, when in truth she left London unwilling to let her husband's exploits taint her family name. 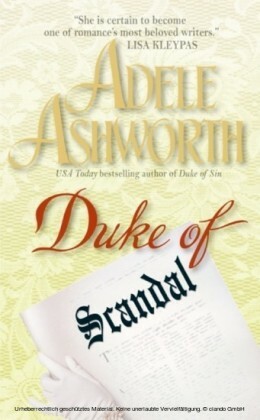 All's well, until someone threatens to reveal her married status and expose her to scandal unless she can obtain an original signed copy of a Shakespearian play, owned by none other than the reclusive and mysterious William Raleigh, Duke of Trent. Vivian is unexpectedly drawn to Raleigh and, for the price of passion, he ends up joining her quest to catch the blackmailer, a discovery which only leads them to more danger. And although their bond only grows stronger, they soon realise the fruitlessness of their relationship a married woman of noble background cannot enter into an illicit affair with the Duke of Sin.or can she?